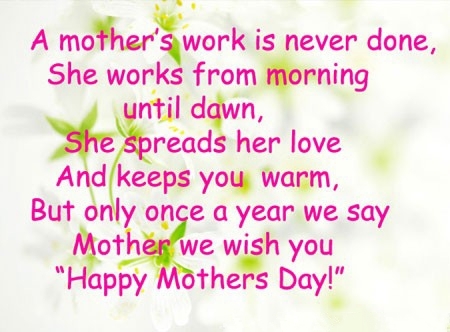 A mother's work is never done. She works from morning until dawn. She spreads her love and keeps you warm. 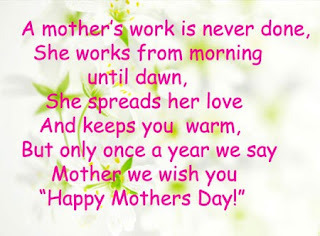 But only once a year we say Mother we wish you "Happy Mothers Day".